Finally Tucson is getting into the BBQ groove. For some bizarre reason it's taken this town a while to get down with slow cooked meats, dry or wet rubs and fall off the bone deliciousness. I've seen lots of fantastic BBQ joints come and go; for some reason here in the Old Pueblo, a city resplendent with amazing and diverse cuisine, true BBQ never really seemed to take hold. Sure there are a smattering of eateries offering up a selection of BBQ fare, even a local chain that (for whatever reason) keeps winning "Best Bar-B-Que in Tucson" year after year but, honestly, there are far better options to get your slather on. We're looking at you Red's Smokehouse! Heck, about a year ago, the Homeskillet discovered Mr. Cookman's, a small orange truck that churns out some of the tastiest Louisiana inspired BBQ and how he has found mobile success and is considering going landlocked with his own brick and mortar. So when we spotted a small red truck with a blackboard that simply said "BBQ" scrawled on it in multi-colored chalk parked in a dusty lot, we just had to pull over and see if we can discover this guy before he gets big. That is...if the food is any good. We ordered the ribs and, oh man, the taste was a sensation. Fatty, meaty, gnaw your fingers off trying to get every succulent bite in savory perfection. The cornbread it was served with was light and flavorful with a good crumble yet pliable enough to sop up some of the tangy sauce that was on our faces and hands. As a bonus, you get a bacon wrapped cheese stuffed chili pepper that was a good spicy accompaniment to the rest of the dish. So we ordered more food. The pork sliders melted in our mouths with a zesty slaw to round it all out. But then we were treated to the catfish sliders. Oh crap. This is when the situation got real. Not since travels through the deep south have we come across catfish done so correct. Flaky, flavorful, seasoned with care and fried to a golden perfection, it was here that we had to get to know the dude behind the BBQ madness. Standing tall in a very tight space was a man named Michael Eure Jr., a New York transplant that now calls Tucson is home. Along with raising a family, Michael is new to the local food truck scene but with his skill and passion for what he does, we know he will go pretty darn far in the Tucson BBQ game. And what this guy can pull off in a small space? Yeah, if he ever expands he will most definitely be a contender in the local food scene. Well...we're about to find out. "I was born and raised in New York", Michael says as he sauces up the ribs in the cramped confines of his truck, titled The Bronx Tale. "I served six years in the air force and was stationed here at the air base. After spending just one year here in Tucson...I knew this was the place for me." "At first I ended up here due to military duty but, honestly, I stayed because of love." And that love would be his wife and, eventually, his kids. But we're also hoping it is his love of BBQ and serving the good people of Tucson amazing food. As Michael prepped our sliders and checked the pulled pork, we had to know how he made his way into the BBQ culinary scene in the first place. "I got into cooking because the good Lord gave me the appetite of a competitive eater; I could never wait to eat," notes Eure Jr. in a fog bank of smoke coming off of his grill. "My grandmother is a phenomenal cook and inspired me to do more than just make things edible. I wanted to make things delectable." Yeah. That's a good word for his food: Delectable. "Ironically, there wasn't just one experience that made me want to open a Bar-B-Que restaurant, it was more of a lack of," when we asked about what got him into the BBQ business initially and our city's lack of abundance of the style of cooking. 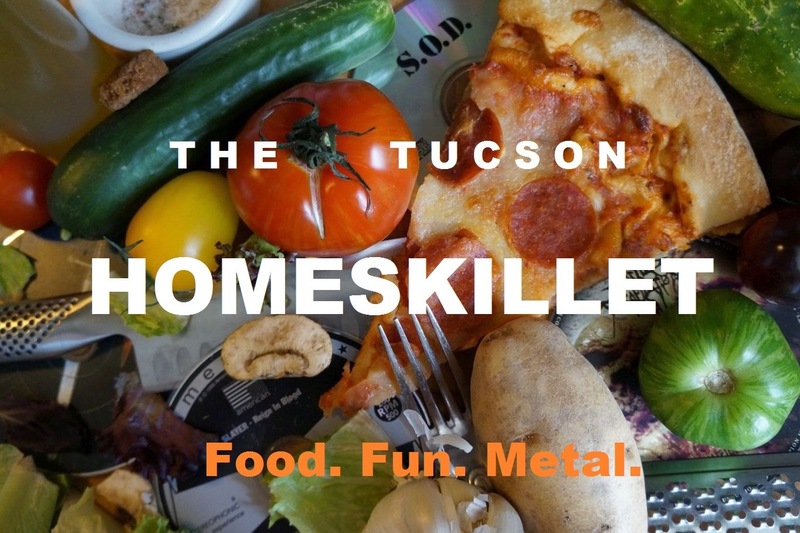 "Tucson is a culinary melting pot and a great place to be embraced when introducing something that may seem like an oxymoron such as New York style BBQ." It's true. We've never heard of New York style BBQ, but if it tastes anything like the creations Michael has come up with, we're sold. So Michael, what do you consider real authentic BBQ? "In regards to real BBQ it's simple, smoking meats over hard woods over long periods of time at a low temperature. Meat that can stand alone and needs no sauce," he says with authority and a nod. With such a paired down menu, what would you regard as a signature dish? "I'd have to say my signature dish is the catfish sliders. But at a close second is my strawberry cornbread." Luckily, we all had both. And, yes, we couldn't decide either. "The food culture here in Tucson is much more diverse than the demographics might show and people are daring when it comes to trying out new things," when asked about the culinary scene of his adopted desert city. So what about getting a food truck business up and running? "The mobile kitchen idea came about from trial and error," Michael states as he puts the finishing touches on our sliders. "Prior to this I attempted to start my own brick and mortar restaurant, but the start up fees and tremendous overhead is what geared us toward this avenue. "The challenges in operating a food truck is exposure to the elements and finding a sound location to park or a partnership with another business where we compliment each other. The reward is simple: I am able to apply my God-given gift in a way that has me connect with scores of people potentially everyday to spread the good news." With a fantastic food product and an even better outlook on life, we were curious as to what Michael thought the future of his cooking career and The Bronx Tale just might be. "The future for us is a simple one. As long as I love my neighbor and put people before monetary success; I'm on a narrow path following the Almighty, giving honor, praise and glory through my works! Mike is real, his food is real (really exciting and delicious) and now you really need to find him and The Bronx Tale and see, and eat, for yourself. You can follow him and The Bronx Tale online and track them down HERE. Good luck. 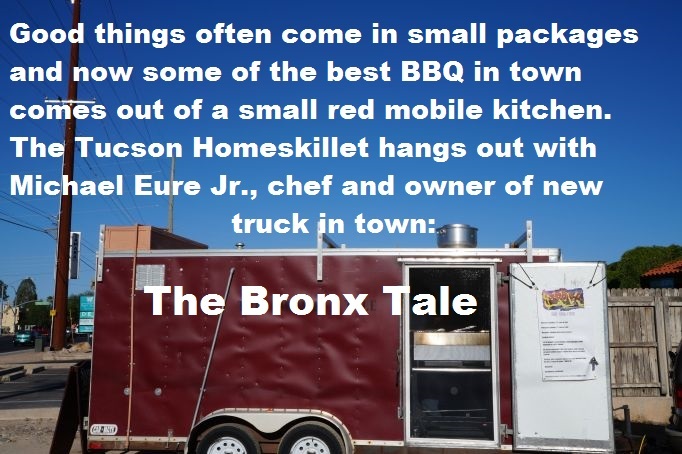 And don't blame us if you get addicted to The Bronx Tale's New York style BBQ. Even Robert De Niro can't help you with that. I definitely dream about going to this party place again. The live music at venues in San Francisco was an added bonus, providing a backdrop for the fun hours spent imbibing, tasting, and chatting up with the breweries and beer distributors.